What is the West Annex? By West Annex News | There’s so much great stuff going on this coming weekend we’re going straight to it. Sunday, September 29th 11AM Heritage Tree Tour of Queen’s Park. Presented by LEAF with arborist Philip van Wassenar, the tour will explore rare, old and other significant trees in Queen’s Park and Philosopher’s Walk, some of which are promised to have as much heritage value as the historic buildings around them. Sunday, September 29th 11AM: Park Crawl. Join the David Suzuki Foundation crawling by foot, bike and canoe between four parks along Toronto’s former Garrison Creek corridor. Each of the four parks will host food booths by Pizzeria Libretto, Mildred’s Temple Kitchen, the Country General, Ursa and 13 others, and local musical acts including Lemon Bucket Orkestra, Choir!Choir!Choir! and Local 164. The crawl starts at Christie Pits at 11AM, moves to Bickford Park at 1:00PM, to Fred Hamilton Park at 2:00, and to Trinity Bellwoods at 3:00PM. Friday to Sunday, September 27th to 29th: U of T Toronto Science Festival. 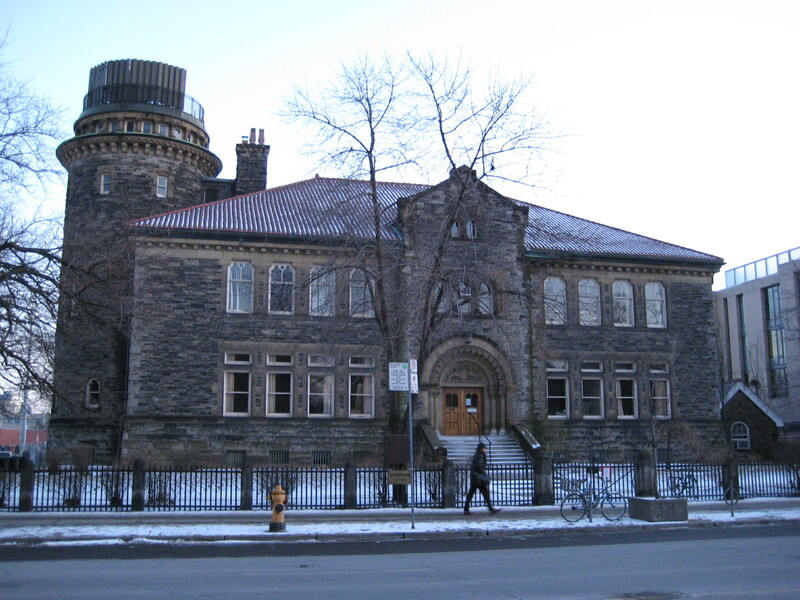 The University of Toronto is launching a public celebration of science. The festival will include keynote talks, panel discussions, film screenings, live music and dance, microscope and telescope sessions. You can even send a message into space. Taflemusik Wind Trio performance Saturday, September 28 from 1:00 to 1:30PM at L’Atelier Grigorian, 70 Yorkville Avenue. ARC Ensemble (Artists of The Royal Conservatory), Sunday, September 29, 2013 3:00PM. Tickets will be distributed at 12pm at the Weston Family Box Office at the RCM, 273 Bloor St West. Meet an archaeologist at the ROM, various times Saturday and Sunday, 100 Queens Park. And don’t forget to mark October 5th, 6:51PM in your diary for the big one – Nuit Blanche 2013. 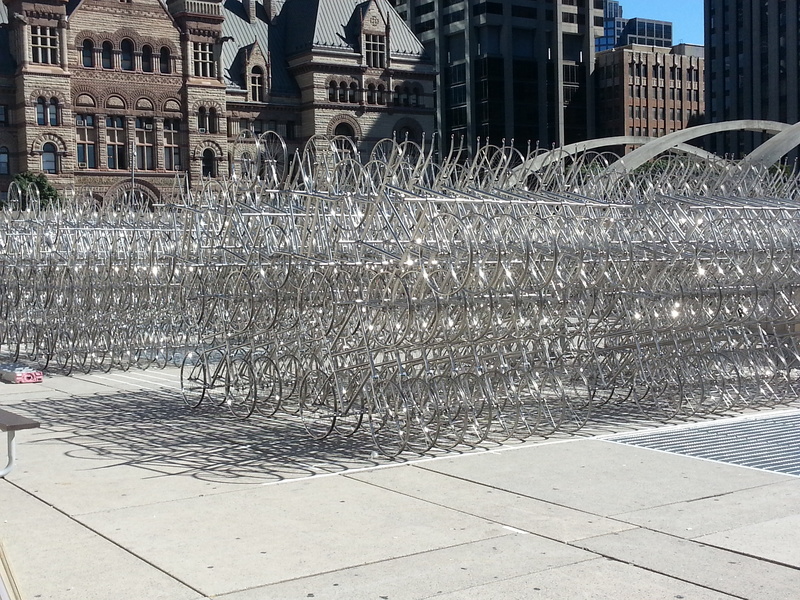 You can preview Ai Wei Wei’s Forever Bicycles under construction now in Nathan Phillips Square. More on Nuit Blanche next week. Keep Walmart out of the Kensington neighbourhood. 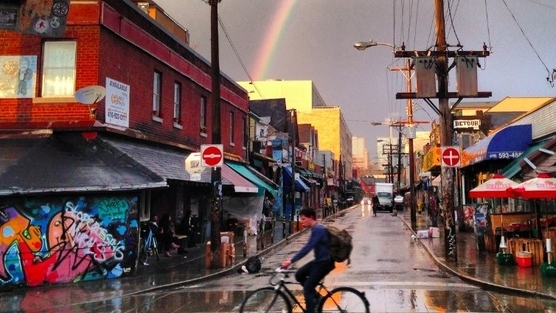 Friends of Kensington Market are crowd-sourcing for funds to pay for traffic and market impact studies and for a lawyer to represent them at the Ontario Municipal Board. If you care about the market, donate here, and sign the petition at change.org. “We are seeking to have Torontonians build Toronto, and not the OMB or Walmart” says Councillor Adam Vaughan. The 2014 mayoral race see-saw. First The Star reported that Olivia Chow received assurances over the summer that councillors Adam Vaughan and Shelley Carroll will not enter the 2014 mayoral race, thus eliminating any rivals from the left. 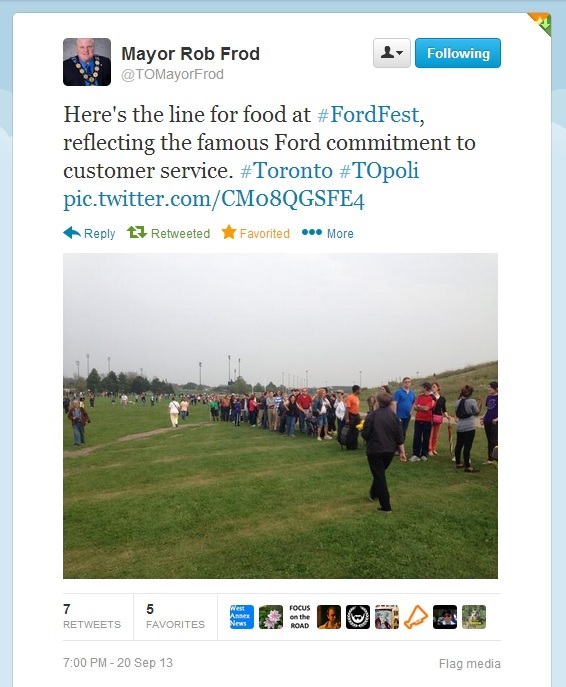 The latest Forum Research poll showed Chow would defeat Rob Ford in a head-to-head race 57 per cent to 33 per cent. Then the mayor scored $660 million in funding from the feds for the Scarborough subway and got a bump up in his approval rating to 49%. Meanwhile, Michael Bouck AKA @VainHostile told us on Twitter this week about the ABCDEF movement – Anybody but Chow or Dat Eedjit Ford. 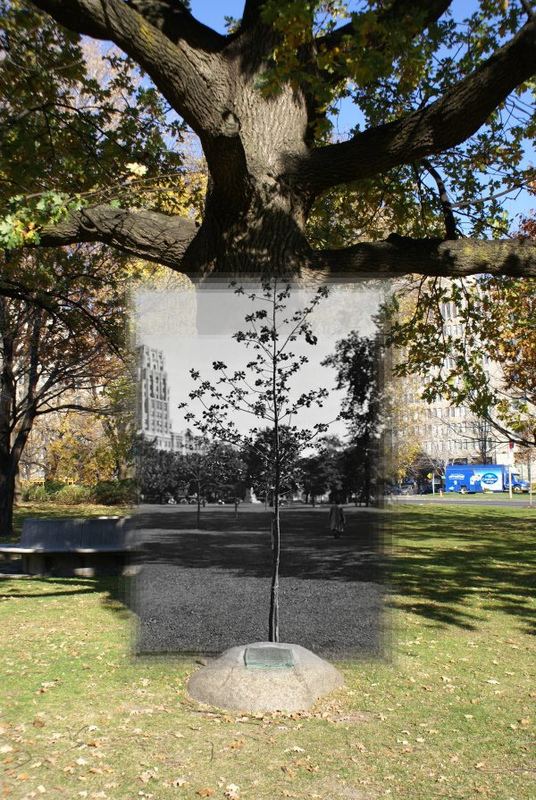 The before and after image of a Queen’s Park tree was used with the kind permission of Alden Cundanin. 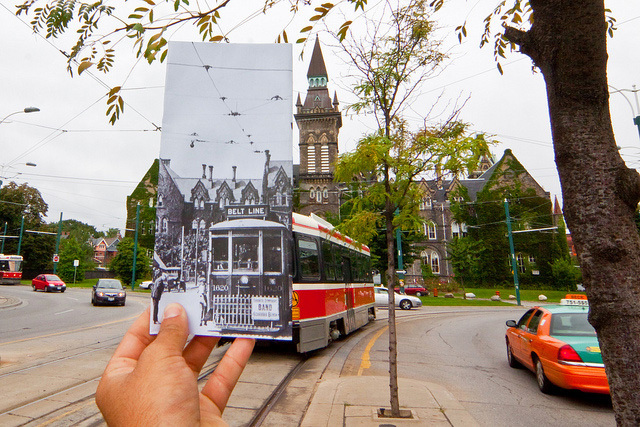 Visit his Toronto Before blog for more of his enchanting juxtapositions of historic and contemporary Toronto images, and follow him on Twitter. Every Friday, the Weekly Wrap collects articles from around the web about or of interest to residents of the West Annex. For previous weeks’ columns, visit the Weekly Wrap archive. For columns from previous weeks, see the Weekly Wrap archive. 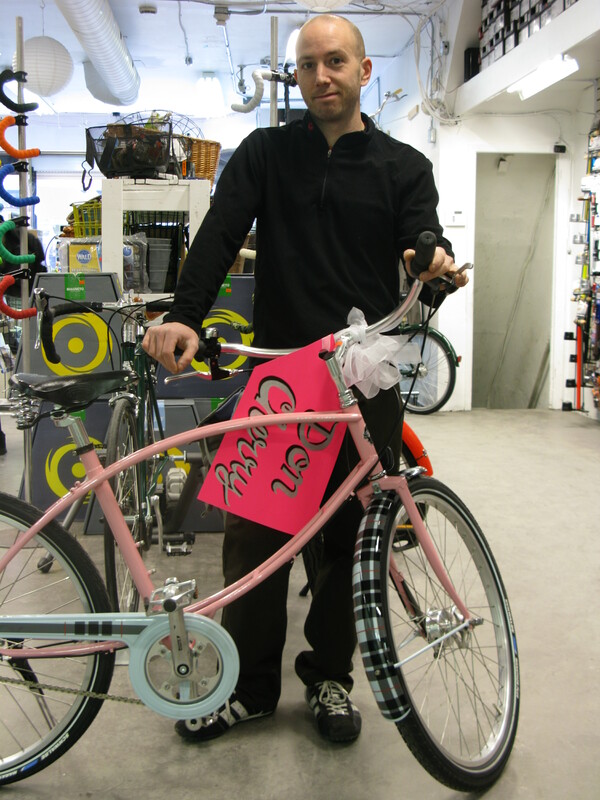 Visit Erik Mauer’s entire “Then and Now” photoset. Enter your email address to subscribe to the West Annex news and receive notifications of new posts by email. We will never share your email address with others. Ed and David Mirvish and King Street West--whose legacy matters?